At Bude Windows & Conservatories we can install durable car ports and car canopies across Bude and the surrounding Cornwall and Devon areas. To see how we can help you or to enquire about a free estimate contact us today. Many households have two or even three cars. An average size garage usually has space for only one car to be protected, what happens to the other cars in your house? They are left outside, open to all the elements. Concept Canopy will help to protect your vehicles from potential damage and weather wearing. 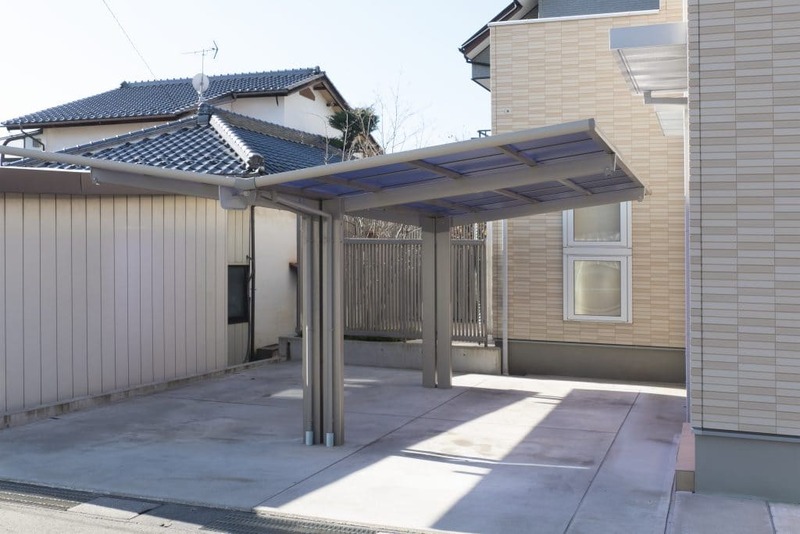 Concept Copy is available as a Carport, Covered Walkway, Children’s Play Area or a stylish Patio Canopy. The construction is of tough and reliable glass reinforced plastic, the building material of the future. Concept Canopy attaches securely to the property wall and needs no additional uprights. That means no more dented doors from obtrusive supports. Being self-coloured your Concept Canopy needs no painting or maintenance ever. Concept Canopy is available in white, brown, light oak or rosewood. The tough translucent roof panels allow natural daylight through, so if your canopy is above your kitchen window, patio or living room, adequate daylight still enters your home. Withstands Snow Loads of 1690kg. Withstands Wind Speeds of 146 mph.